We had reported earlier that iPhone 5 was being worked on. Well BGR reported yesterday that iPhone 5 has supposedly hit the Engineering Verification Test(EVT) stage of testing while iPhone 4 CDMA version was close to being released for Verizon and other carriers. Finally, the much anticipated iPhone 4 CDMA for Verizon is also close to completion. The iPhone 4 is codenamed 3.2 and is a CDMA version of the phone that will allow it to land on other networks such as Verizon. 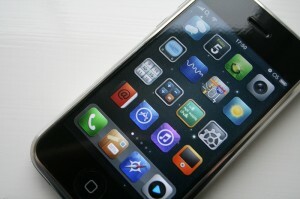 Rumors are going around of the possible iPhone 4 CDMA and interestingly Apple doesn’t deny them. It was also reported that the new iPhone 4 CDMA will have a better antenna and a better hardware version to secure against possible jailbreaks. The iPhone 5 was reported to have entered the EVT stage where its design is tested to meet its requirements. It is interesting to note how soon iPhone 5 was being tested to keep up with the next April when Apple usually releases its products.